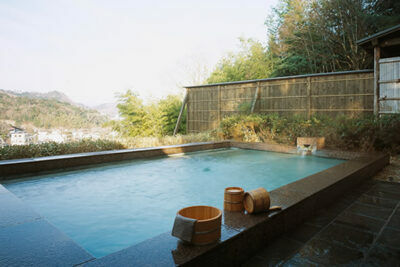 Sora Togetsusou Kinryu in Shuzenji Onsen (Shizuoka) fuses a modern Japanese feel with the bountiful nature. 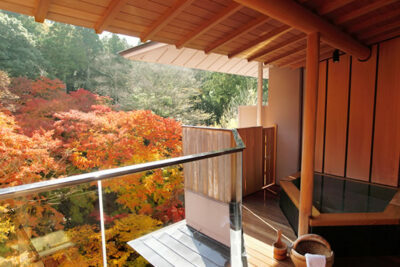 The mountain views outside each room offer high levels of privacy. 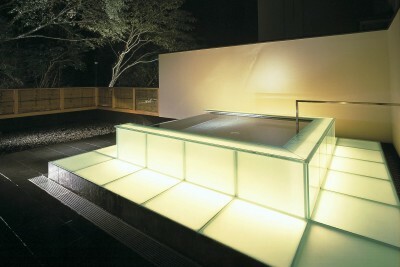 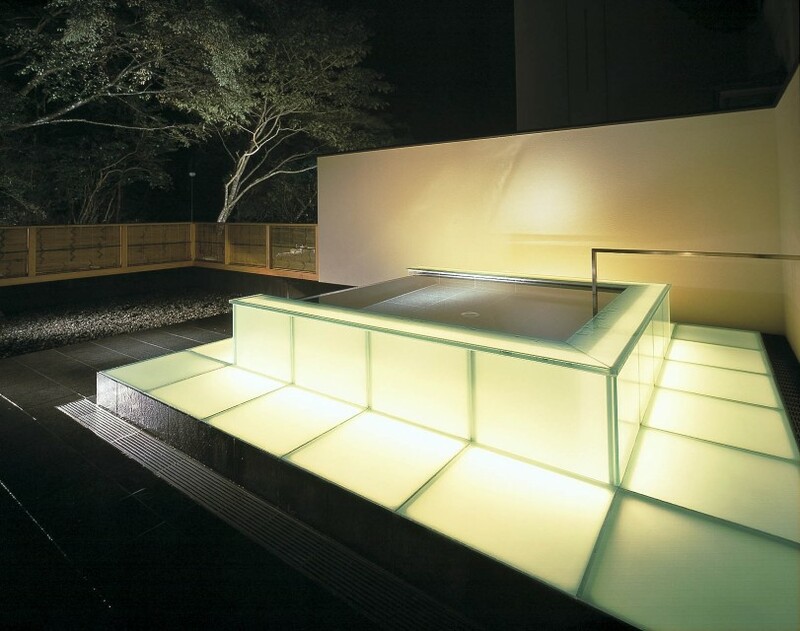 The “Open Air Bath of Light” in this ryokan is an award-winning creation of Hisanobu Tsujimura, a famous space designer. 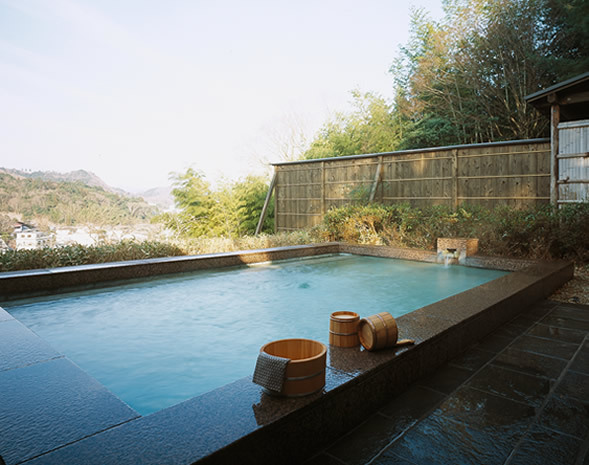 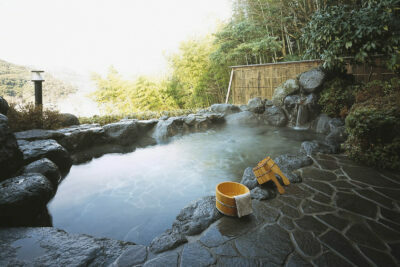 You can enjoy a superb view of the Shuzenji hot spring area from the rental open air baths outside the rooms. 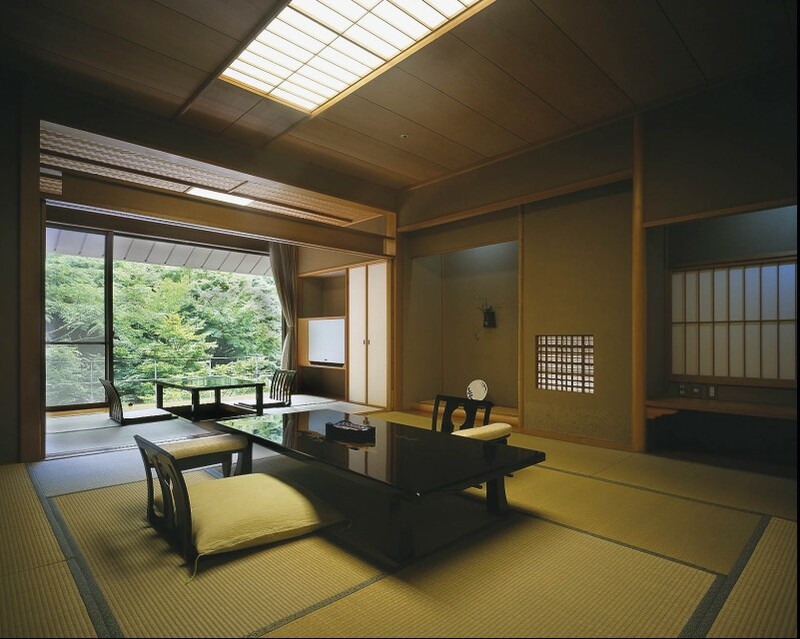 This ryokan is also a filming location of the famous TV drama The Full-Time Wife Escapist (Nigeru wa Haji da ga Yaku ni Tatsu). 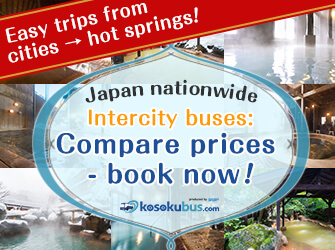 120 min by JR Limited Express from Tokyo Station to Shuzenji Station, then 12 min by taxi. 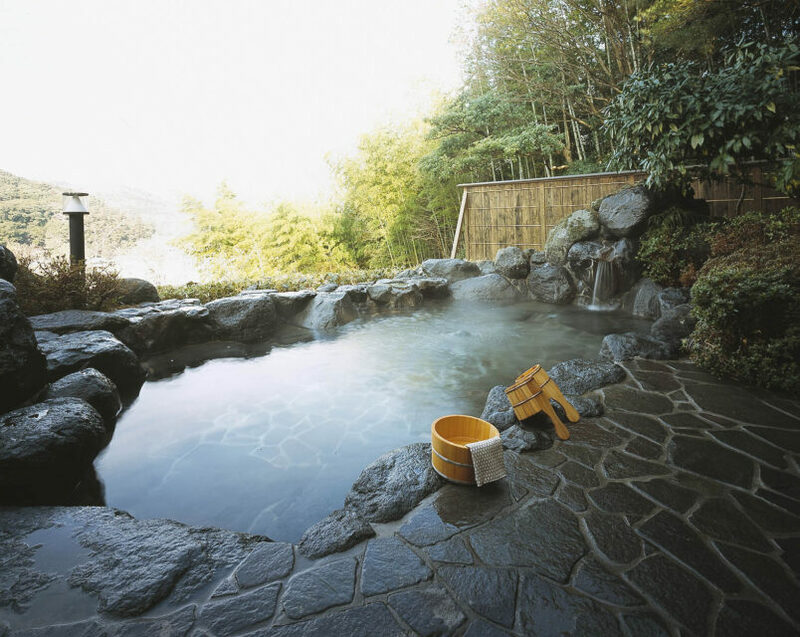 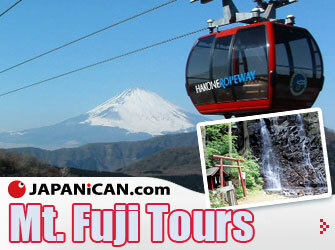 From Shuzenji Station, you can also go to the ryokan by bus. 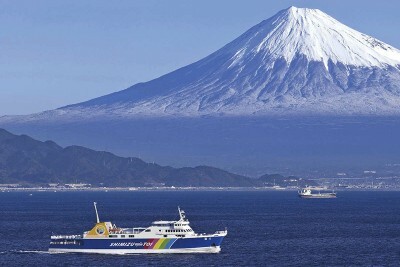 Local Izu seafood and vegetables. 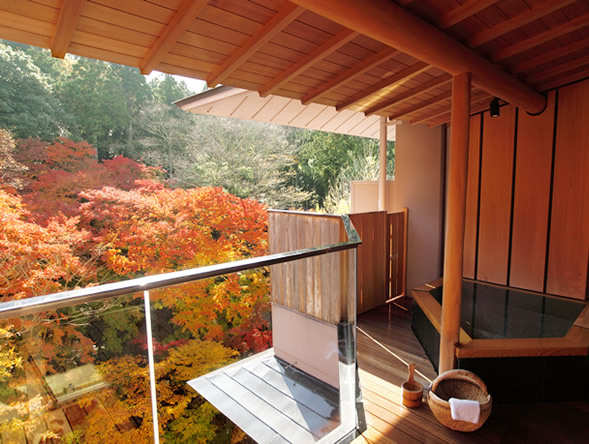 This is a “designer ryokan” that was built comparatively recently. 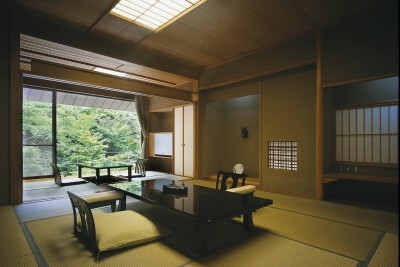 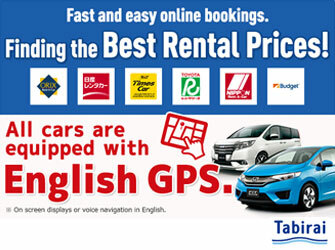 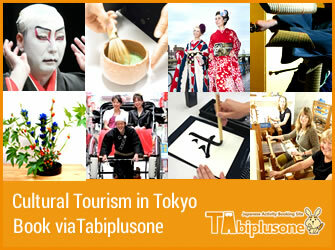 Japanese tradition is arranged with a modern sense.